On April 1, 2018, Jim passed away at the age of 97 with his loving daughter, Gwen, at his side. Jim received special care at Oliver Lodge in Saskatoon for the past three years. Jim was a strong, caring, family oriented and community minded man. He enjoyed life with family and friends at home and his cottage over the years. 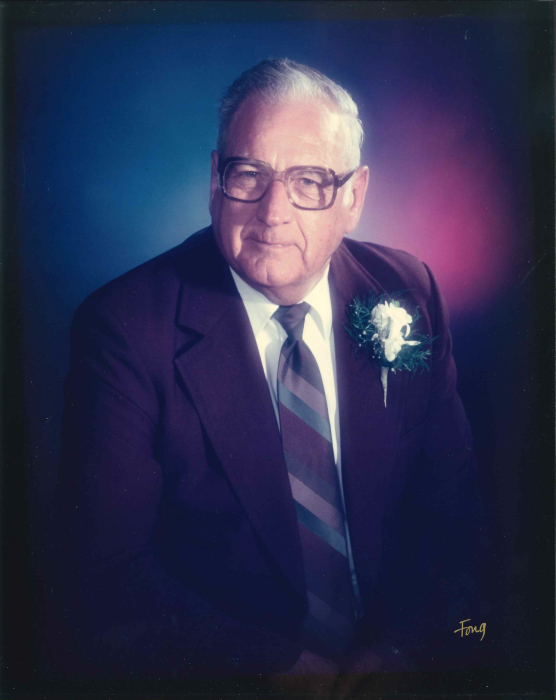 Jim had been a long time businessman in Roblin, Manitoba. He owned and operated the local hardware store for many years before becoming a building contractor. Jim was predeceased by his loving wife, Isabel in January 1994. Jim is survived by three children Ernie (Pat), Gwen (Ron), Merv (Thelma); grandchildren Angela (Steve), Marnie (Anthony), Jamie (Laura), Meagan (Jeff), Tom (Janelle); great grandchildren Kriesten, Brooke, Jill, Ryan, Eric, Jack, Sawyer, Ada Rose, Archer; and good friend Margaret. A private family service was held on Tuesday, April 3, 2018. Interment at the Roblin & District Cemetery, Roblin, MB will be held at a later date. Memorial donations in James’ honour can be made to the Roblin District Community Foundation, PO Box 1599, Roblin, MB R0L 1P0 (www.endowmanitoba.ca).